Mossy Oak Properties Southeast Land & Wildlife, LLC has a unique team of professionals with 70 years of combined experience in land brokerage and timber management. We are located in Tuscumbia, Alabama and provide our services to clients in Alabama, Mississippi, and Tennessee. Whether you have 10 acres or 10,000 acres our team of Registered Foresters, Certified Wildlife Biologist, and Appraisers offer a unique perspective in cost effective techniques to market your property to prospective buyers. By investing in our clients and their properties, we are not just selling property, we are building lifelong friendships. Our teams’ love for land and wildlife parallels Mossy Oak’s, which is why we chose to become part of the Mossy Oak Properties family. Mossy Oak Properties offers an unmatched yet seamless network of land professionals across the southern United States. The Mossy Oak network has a respect for the outdoors that you cannot find with just any real estate company. At Mossy Oak Properties Southeast Land & Wildlife, LLC we strive to place buyers with the properties of their dreams and creatively market farms for our sellers. Nathan understands that serving his clients’ personal and business investment needs begins with building strong, lasting partnerships. He focuses on helping companies and individuals realize their real estate goals through a thoughtful and attentive process. His mission is to locate, evaluate, and monitor appropriate property for his clients based on their goals and objectives. Nathan has a willingness to listen to each client like he or she is the only buyer or seller in the world. Nathan has a BS in Wildlife Biology and Business Administration. Following college, Nathan spent several years in southern Africa managing and developing over 700,000 acres of wildlife habitat. During the past two years, Nathan has assisted more than 150 clients in real estate transactions ranging from 20 to 10,000 acres and successfully secured more than $20,000,000 in sales. 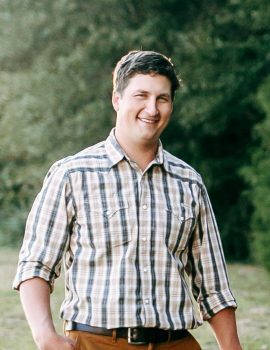 With Nathan’s knowledge of land and wildlife, as well as his experience over the last 7 years, he is prepared to go the extra mile to help you find your favorite place. Elton’s love of the outdoors and enjoyment of time in the woods was a natural progression of him becoming a forester. After advancing through the ranks with Champion, not wanting to leave north Alabama he resigned and bought half interest in a forestry consulting business. That first consulting business grew and moved into real estate brokerage, timberland investments, and one of the largest wood dealerships in north Alabama. 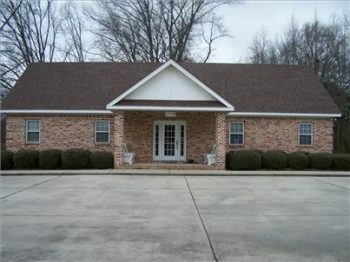 During that time, he earned a real estate broker’s license and became a Certified General Real Estate Appraiser in Alabama, Mississippi, and Tennessee as well as earning a MAI designation from the Appraisal Institute. There is no better way to meet the needs of our clients than by understanding the fundamental aspects of their property and successfully marketing it in a broad range of sectors. 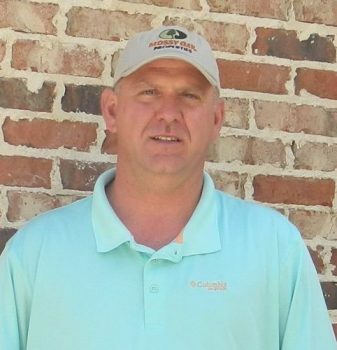 Cameron’s desire to work outdoors led him to pursue a Forestry degree from Auburn University in 2000. As an Alabama Business Owner and Registered Forester for the last 14 years, Cameron has worked all over North Alabama, Southern Middle Tennessee, and Northeast Mississippi buying land and timber and working with private landowners. Over the years, he has developed a passion for preserving hardwood timber for our future generations. It has been his goal to assist landowners in selectively harvesting hardwood timber and helping to preserve its natural state. 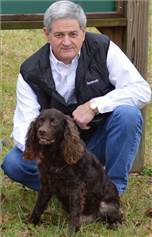 He currently serves as an acting member for ALFA and the Soil and Water Conservation Board of Colbert County. Cameron’s knowledge of land, timber, cattle and row crops is essential to helping assist in selling or buying property. It is a great reward for Cameron to advise you in making the best-informed decisions on buying or selling an asset that takes a lifetime to develop.